My reviews on lashes were temporarily pushed back by other pressing matters (hello MBBE), but as the dust of the event begins to settle, I'm finally catching up and finishing off this series of reviews. So to wrap things up, I want to showcase the lashes I've tried over the past week. 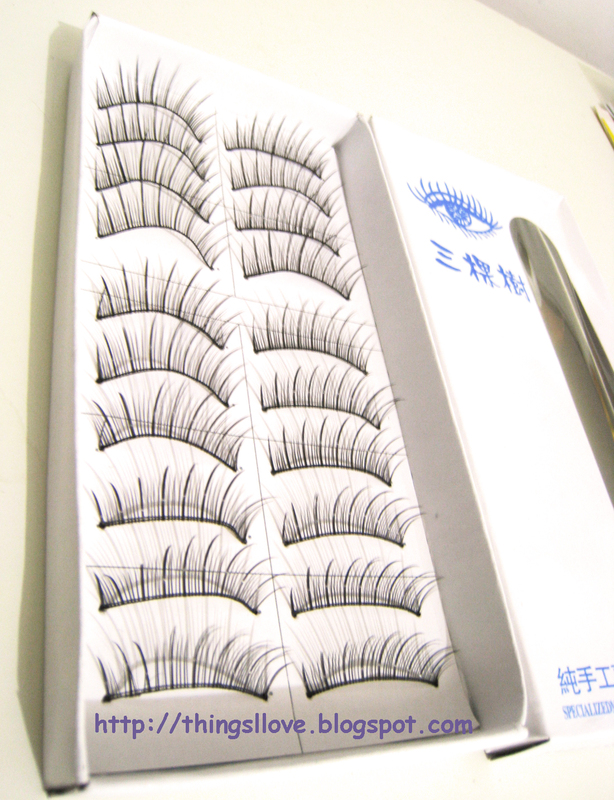 These lashes were purchased from eBay sight unseen. 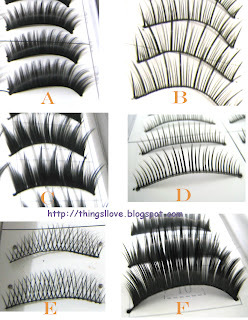 Each style comes in a set of 10 lashes, plenty for you to play around with until you master the application and ensures you can achieve lashing looks many times over. The lash bands are made from black threads and wax so they are softer and more flexible to attach to eyelids, allowing them to be more natural looking without copious amounts of eyeliner to hide the band. This is a big plus as many other false lash band are usually made of plastic and are harder to achieve a natural looking lash line due to their thickness. Surprising, they are very good quality and are all handmade pieces. The only negative about them is that they come in paper cardboard box and can easily crush in transit/storage. Also some lash band thread ends ( the part that threads through the holes to hold the lashes in place, not the actual lashes itself) seem to be stuck at the edge to the cardboard at the back so there is a bit of effort to pry them out for use. I found these lashes to be the right length for my eyes and didn't need any trimming (other than the ends of the lash band thread that extends beyond the false lashes. If you have large doe-like eyes, these lashes may not be long enough for you (but then again, you probably don't need them to begin with you lucky things). 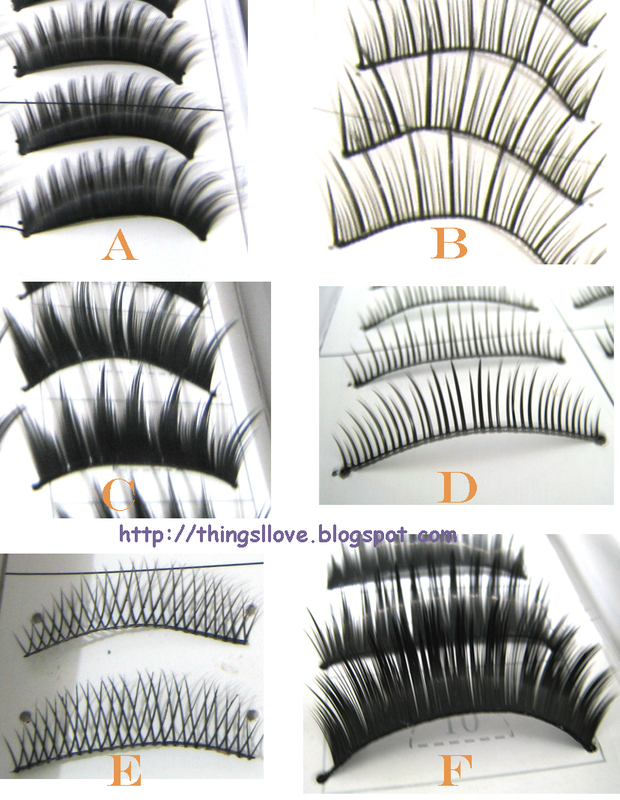 They come in 6 styles, from flirty criss-cross, to lengthy defined styled, to vampy full fluttery lashes and dramatic serrated ones. There's something for every occasion - naturally enhanced to the full-on dramatic. All of these lashes are symmetrical in shape at both ends. If you are after lashes where the outer end is more flared out, then these aren't for you. The shorter varieties (eg. 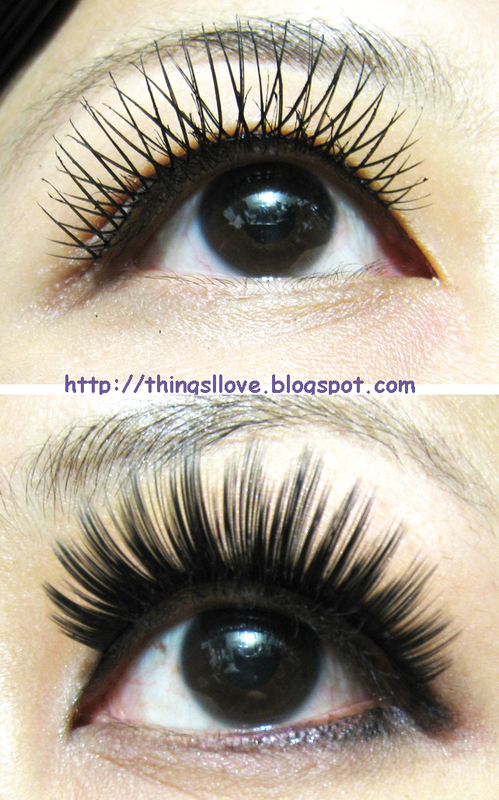 set D) would make good lower lashes if you cut them up individually and apply and apply them to your lower lash line. Quality at an phenomenal price point, I love these lashes. My favourite are the A, C, E sets (you can tell I like them dramatic). 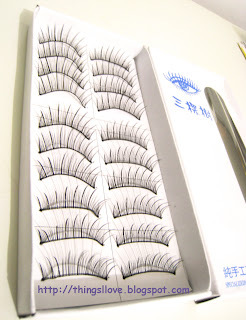 If you haven't already, do read my tips on how to master the application of false lashes. Rating: 9/10. Some lash ends were stuck onto the packaging glue of the cardboard backing and was fiddly to take out, but overall still a great quality product. A pack of 6 sets (so 60 pairs of lashes) with the Colour Soft lash glue thrown in is a mere US$8.78 shipped. I bought them here. Tine - I <3 them too. They look awesome! So cheap! WANT! Really informative few post Lil - much appreciated. Never thought I'd bother with fake lashes before - they seemed like too much faff & effort to bother with, & I was always scared they'd rip off my own lashes in removal....but think I'll buy some now to try out. Thanks for the seller link - love how you've taken the hard work out of looking where to purchase from!